Posted in Bike Path, Comfort & Cruisers. 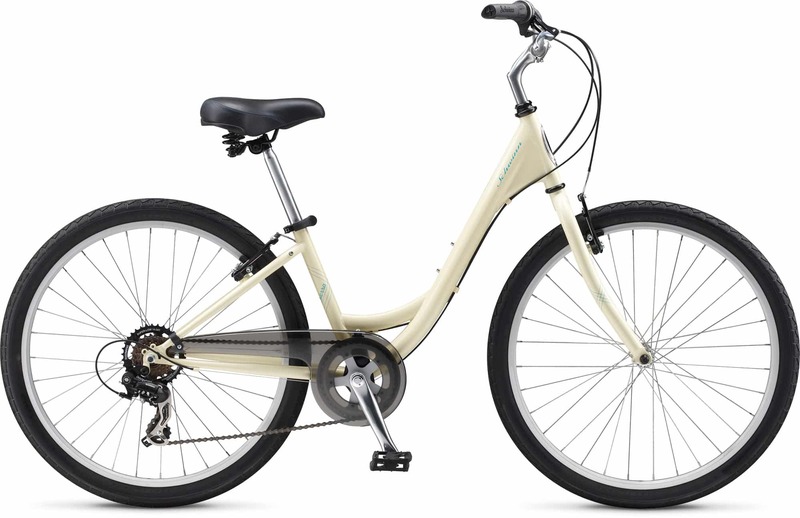 Schwinn’s Women’s Sierra 2 is made for enjoying every ride. 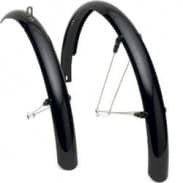 It has a lightweight aluminum frame with a durable steel fork leading the way. 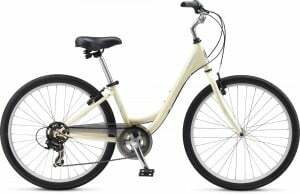 It boasts quality components throughout, from the aluminum wheels, to the simple-to-operate 7-speed drivetrain that makes easy work of the hills, to the brakes that deliver safety and control. And the wide gel seat and upright handlebars feel great everywhere you roll.